PASTOR’S ALLOW ME TO SPEAK WITH YOU! For some time I have carried a burden in my heart regarding the need to train mature men for the ministry. It seemed that most Bible colleges were mainly reaching recent high school graduates and not mature married men. It’s certainly understandable. It’s not easy for a man to leave his job and his church and move his family across the country to attend Bible college. Nor is it easy for a pastor to send a family off to Bible college. It seemed to me that there was a void. One day I was speaking to a couple of preacher friends who shared with me the concept of online webinars. I was intrigued. It was the perfect answer to the void I felt existed. I set out to use this technology to start Independent Baptist Online College. I put an administrative team together. Then, I contacted men who I felt could be effective in teaching an online class. I was amazed at the response of these preachers. Dr. Russell Anderson heard about the college and asked if he could be apart. I chose Dr. Anderson because I felt he had the heart of Dr. Hyles, but I took no money from him for the college. In fact I personally borrowed $10,000 to begin the process of starting the college. I have taken no salary nor have the other men on the administrative team. I have not received one dime back from that $10,000 investment. I did not start Independent Baptist Online College to make money. I started it because I felt it was what God would have me do for the cause. I guess I should not be surprised that Satan immediately began to attack. The opposition surprised me because it came from those who I wrongly assumed would celebrate another ministry to train preachers. I have been castigated because of this ministry. The price that I am paying to do what I feel God wants me to do is both personally and financially burdensome, but I rejoice in the opportunity because I know it is what God would have me to do. I do not share this for sympathy but because I want to show how deeply committed I am to Independent Baptist Online College. 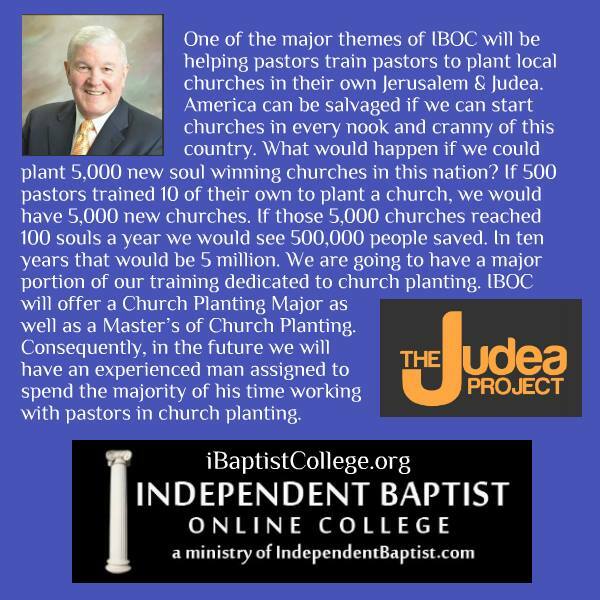 Along with the goal of training men to the ministry came the idea of the Judea Project which will encourage and equip pastors to plant new churches in their Judea. One of my visions for Independent Baptist Online College was to provide pastors the means of training their own preacher boys by using our curriculum. My goal is not to control someone else’s church members. My goal is to help men across America train people in their church for ministry by using the curriculum of our college. Pastor, rather than starting a college and going through all the expense and difficulty you can enroll your students into IBOC and guide them through the process of getting their education. Some pastors have staff members who never finished and received their degree. This can enable them to do so. Make no mistake about it. This is a local church oriented ministry. Our goal is to allow the local church to train its own. This is also a way for people in your church to further their education. Perhaps there are those who would like to take classes in the Bible or other areas of ministry. 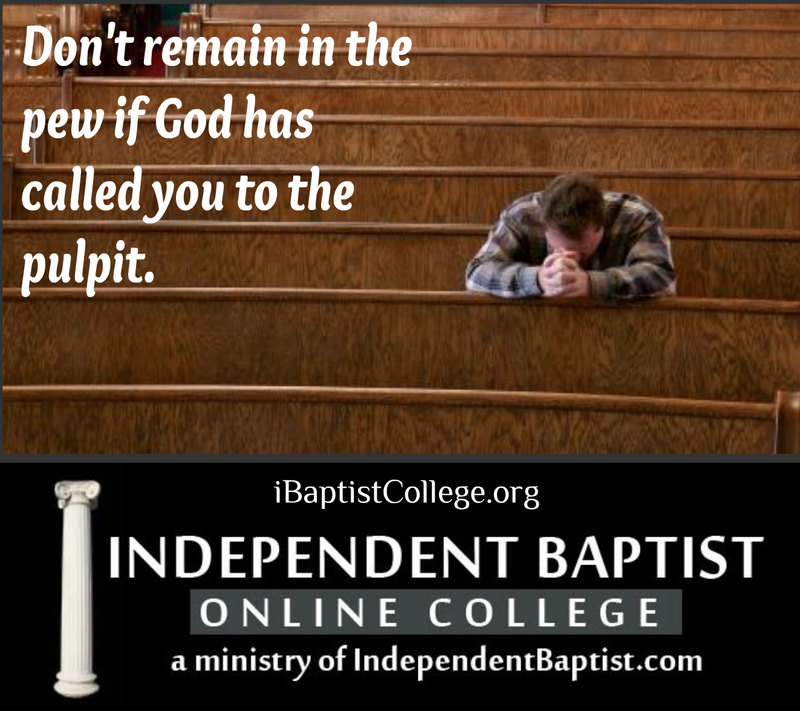 You can help your people do that through Independent Baptist Online College. Pastor, allow me to share my heart with you. There is no way to tell you what this has cost me personally. I am not talking about financially. I mean what it has cost me from a personal standpoint. Leaving the American Baptist Association to go to Hyles-Anderson College and becoming an Independent Baptist was not as painful and difficult as this has been. 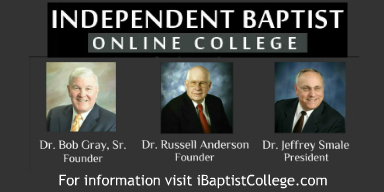 I would love to personally talk with you about Independent Baptist Online College and about our Judea Project. Perhaps you would like to offer this to some of the people in your church. I am making myself available to talk by phone to pastors across America about how we can help you. Pastor, I believe this is of God. I think when you talk with me you will come to that same conclusion. Let’s set up a time to talk soon. I will not ask you for anything other than to let us help you. Please pray for us as we do what we feel God wants us to do. It is a new day in which we live. We have at our fingertips the ability to train men all across this country. The greatest era of church building in the last 50 years took place when mature men were called into the ministry and trained to do a work for God. That is our goal. I want to offer to you the opportunity to take a course free of charge by just calling me and allowing me to talk with you about our college. Please let me know of your interest and hopefully let’s talk soon. My cell number is 903-237-9019. God bless you.